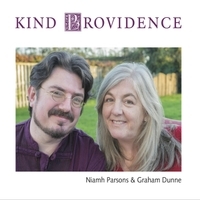 Since Niamh's successful visit to the Boyle Trad Singers' session during Boyle Arts Week in 2015, she has launched a new album, Kind Providence, with her partner, Graham Dunne. 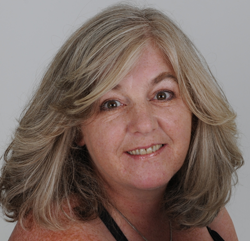 Her earthy vocals are shot through with a smoky undertow that captures the darker corners of her songbook. And that songbook has a few treasures lurking within. 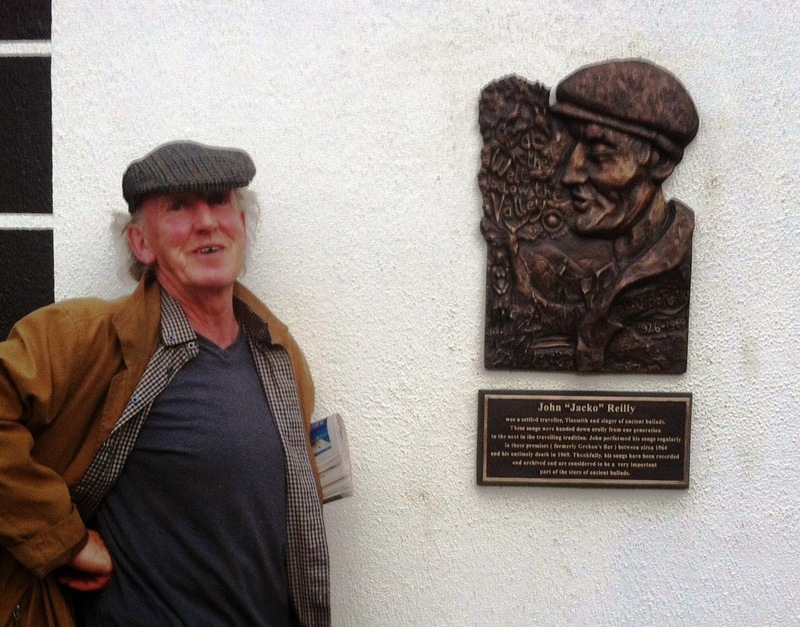 Irish Times, 18 February 2016. 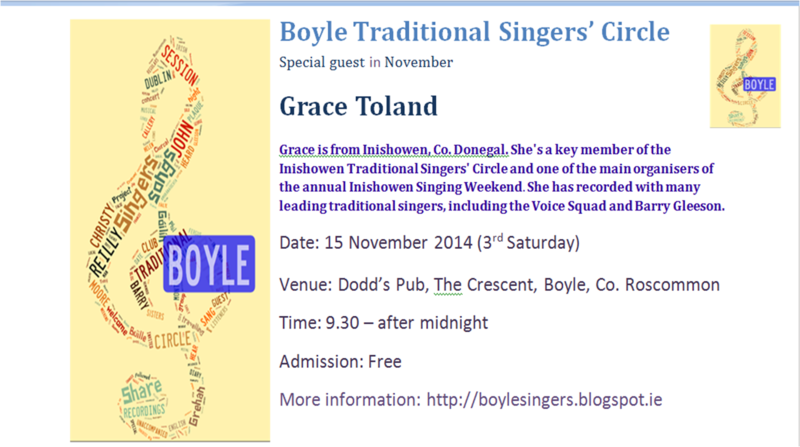 We're looking forward to hearing Niamh again in Boyle on Saturday 15 October. 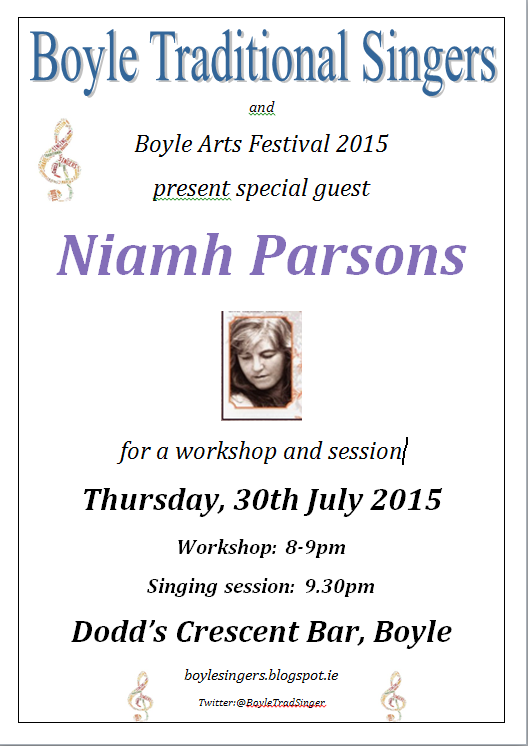 Come along, to sing or listen, and be guaranteed an enjoyable night. Free in. 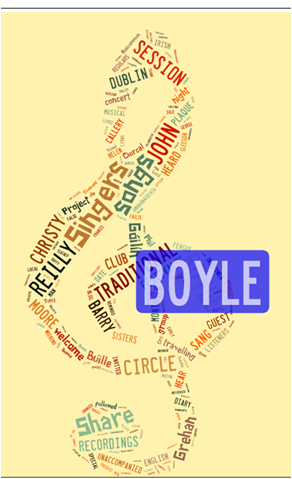 With 10 years of singing in the Boyle Traditional Singers session under our belts, we're still hearing songs we haven't heard there before. 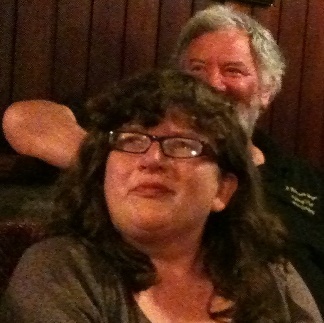 Clare sang Kate Rusby's Bring me a boat. Until at length it found some use – in the training of the staff! As “Insufficiently addressed ‘To My Son in Americay'”! Francis quoting from Roald Dahl - born 100 years ago. 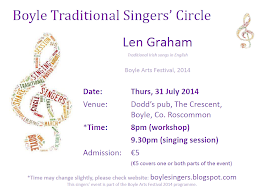 We haven't forgotten the older songs, and Frank produced, without any trouble, or much preparation, a song he used to sing often at early Boyle Trad Singers sessions: Cardin's Wild Domain. There's a blogpost here about it, written back in January 2010. And, in additional to the traditional buns (Bríd), and sandwiches (from Cepta and John this week), there was cake! Chocolate.